As readers may remember, Pitney Bowes, a company known for postal machines, mailing and addressing, really appeared on the geospatial map with its acquisition of MapInfo in 2007. Geocoding is a huge part of Pitney Bowes and has been for many years, with its valuable addressing and location datasets. Pitney Bowes has a deep background in geocoding. Their Master Location Data (MLD) is a pre-geocoded dataset that serves as the foundation for the U.S. market, with U.S. addresses to use as a data factory for datasets. They can append more data to create vertical datasets. Currently the dataset has 140 million addresses with over 200 attributes with 20 different data products. The plan is to extend this beyond the U.S., with the next stop the UK, sometime later this year. Location intelligence for business intelligence is another big area for Pitney Bowes for which they offer Spectrum Spatial for Business Intelligence. Their Commerce Cloud as SAAS offerings, Geo APIs, geocoding, mapping data for which the target audience is software developers. MapInfo Pro Advanced now offers raster image processing, a new file format for raster, lossless rasterization, which prevents the loss of spatial resolution. Predictive Customer Analytics serves the big data market. One of the four major telcos uses their map. Telco is a major market for Pitney Bowes, and as long as the analytics includes lat/long, any sensor device can be used. “It doesn’t matter who the client is, whether it’s for public safety, military, etc., precision geocoding is important,” said Francica. GeoEnrichment solutions – Using Pitney Bowes new pre-geocoded Master Location Data (MLD) database, clients can append additional attributes to every client record. MLD has accurate location data for over 170 million U.S. addresses. MLD is also the foundation for new industry data for risk, property, weather and other specific types of information. 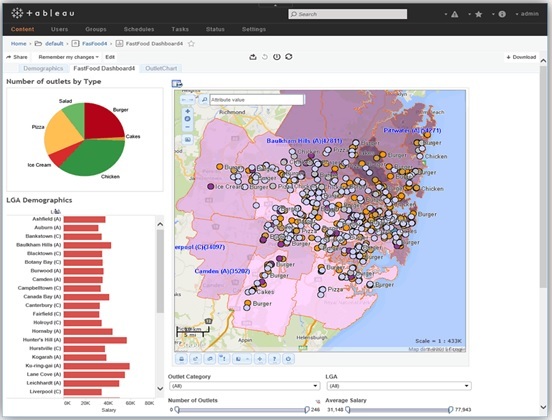 What Pitney Bowes calls “LI for BI” – brings powerful location analytics into business intelligence with Spectrum Spatial for BI Software that integrates with the most popular BI solutions. Spectrum Spatial for BI adds advanced visualization cluster maps, heat maps, in additional to analytics, giving it bidirectionality. You can draw a buffer zone on a map, collect the points within the buffer, and see the results reflected in Data Warehouse. Or you can query the Data Warehouse and see it displayed on the map. The Commerce Cloud within the cloud is now a comprised of SaaS offerings for all Pitney Bowes’ geospatial underpinnings called the GEO-APIs. “It exposes all our underlying geocoding, mapping, and data in a set of six APIs,” said Francica. More information can be found at developer.pitneybowes.com under location intelligence APIs. MapInfo Pro Advanced sits on top of MapInfo Pro for raster image processing. Pitney Bowes has created proprietary multi-resolution raster, or MRR, a lossless visualization file format, that can handle any size raster file, digital imagery and terrain models. You can zoom in or out, analyze it, you will not lose spatial resolution. In other image processing tools, often you have to resample the image in order to process it, this is totally lossless. The closer you zoom in, you don’t have to keep refreshing the screen to get to it. The Applied Analytics and Marketing consultancy provides a full suite of location-intelligent solutions to clients. A whole team of people do nothing but predictive analytics for location technology. “They’ll come to retailers and say do you want to find the best configuration for 100 retails stores? And we’ll develop a model,” said Francica. The team can focus on location data to provide businesses with insights around channel investment, identification of market opportunities and targeted customer communications. Pitney Bowes ability to serve the big data market is maximized with their underlying Spectrum Spatial capabilities in doing a native integration with big data engines like Hadoop. Zillow is one of Pitney Bowes’ big customers for geocoding. In addition, Pitney Bowes is a data provider as well as software provider, with data that is compelling for the GEOINT audience. “GIS should have always been an embedded technology,” said Francica. “We never thought that GIS should stand on its own. In order for us to grow the industry there had to be some sort of integration with enterprise solutions so from a Pitney Bowes standpoint, integrating with BI solutions is one way, having our SDKs integrate with big data engines is another. I think our architecture is open enough to our SDKS and APIs so we want to be able to plug in where we are needed to plug in. MapInfo 16.0 is coming out in October, as well as more solution oriented approaches for industry clients, such as specific datasets for fire protection and property attributes. All in all, Pitney Bowes covers a wide spectrum of data, solutions and technology, that they can integrate into all the business units, and extend across the globe. This entry was posted on Wednesday, June 1st, 2016 at 9:02 am. You can follow any responses to this entry through the RSS 2.0 feed. You can leave a response, or trackback from your own site.